left - second half of hole 9 in Carrolton, TX. 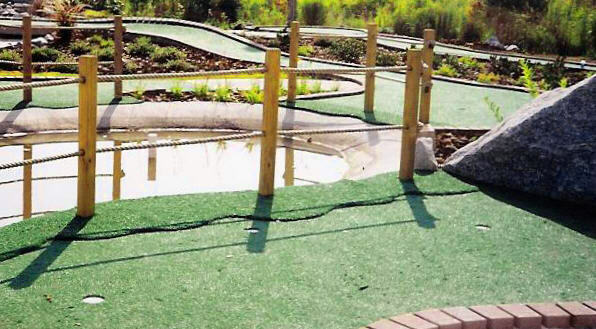 By adding roughs, strategically placed throughout your course we can help those inerrant shots from getting away, or increase the difficulty of a hole. 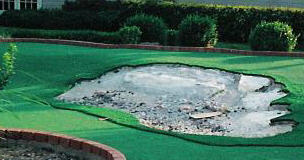 We can also add white grass carpet to simulate sand traps, while enhancing the beauty of your course. 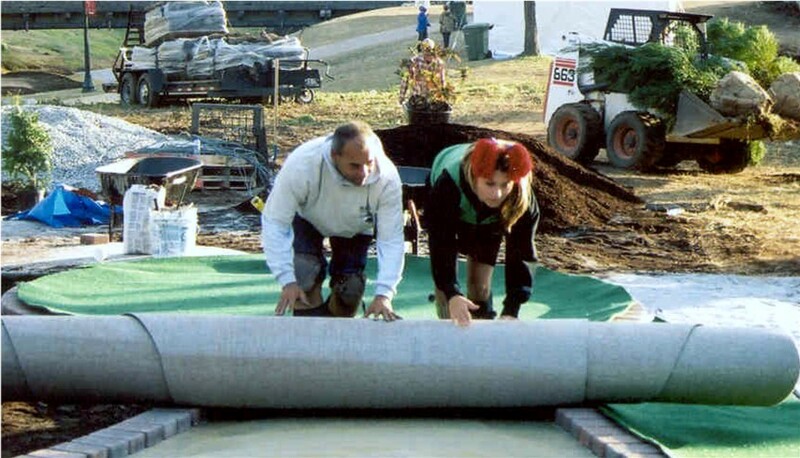 LFI can also take an old run down course and bring it up to date by installing new pavers, cups and grass carpet. 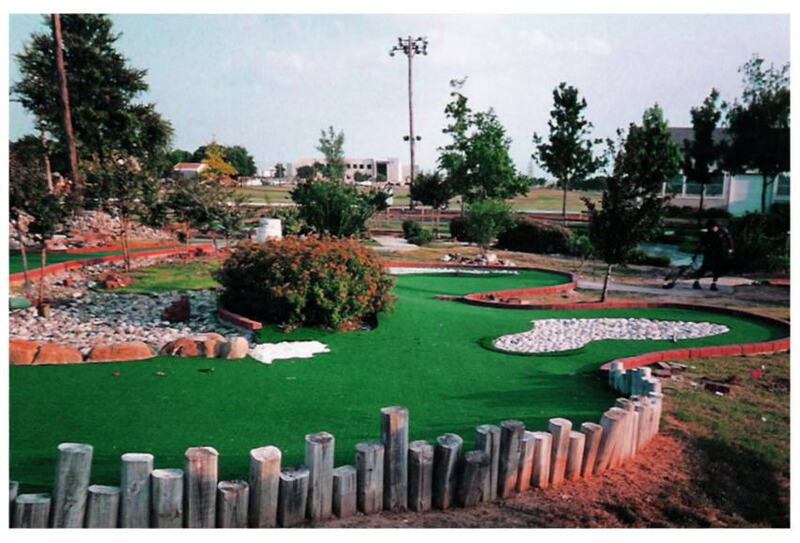 Hole 9 on this course in carrolton, TX. was over two hundred yards .For most carpet installation companies this would be extremely challenging but for LFI & company its simply routine. my back is killing me ! I had a terrific time filming this segment of TLC's Town Haul. Thank you,to Genevieve Gorder and everyone at TLC.